Choose the right pasta: When you are making a low-calorie, healthy pasta, start with the quality of pasta itself. 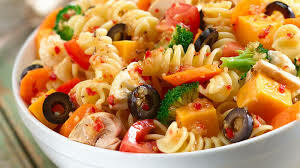 Choose pasta, which is made from whole grains. Pasta is low in fat and high in carbohydrates and whole-wheat pasta contains the healthy parts of the grains that are good for digestion and for a healthy heart. Add vegetables to your pasta: After choosing whole grain pasta, add good amount of vegetables to your recipes because veggies are more nutritious and high on Vitamins. You can include sundried tomatoes, spinach, onions, and peppers of all colors, squash, zucchini, eggplant, peas, mushrooms, and even broccoli— chopped, stewed, or fresh. The best ways to add the veggies is to lightly sauté or steam vegetables and then toss them in after you cook pasta. Add healthy proteins: Once the veggies are done add chunks of skinless chicken; grilled, baked or sauté and turn your pasta dish into a main course. Seamed, grilled, or sautéed shrimp is another delicious choice to add to your pasta dish. Pasta sauce matters: The sauce is where pasta gets wrong and where it contains fat and calories. The best option is to cook your pasta and try to be smart when choosing your pasta sauce. Generally, any creamy or heavy sauce, like an Alfredo includes a lot of fat and calories. Choose a basic tomato sauce or make your own sauce at home. Just combine tomatoes with fresh herbs like basil and oregano, and simmer in a pot on the stove. You can even create your own variations on a non-tomato sauce using a little olive oil, garlic, other seasonings, pureed peppers, and some chicken broth. Use all these tips and enjoy your delicious home-made healthy pasta without feeling guilty after having it. The best option is to download the Mink Foodie app and order online from a variety of health conscious restaurants. Be in touch with Mink Foodiee to know more Recipes. Coming Soon!! Why Should Every Restaurant Have a Feedback Management System? Running a restaurant successfully was never an easy task for anyone. It requires a lot of resources and other elements to turn it into a successful business. One such important element which helps a restaurant business to become successful is the right use of technical systems. Restaurant Feedback System is a very crucial part of every restaurant nowadays because of many good reasons. Let us have a look at why every restaurant should have a feedback management system. ● The first and foremost reason for a good Restaurant Feedback System is to capture customer reviews. It is very important that you keep track of what the customers think about your restaurant decoration, food quality, service etc. Thus, with the help of such Customer feedback management, you can improve the areas your restaurant is lacking. Managing a restaurant is not an easy task when it requires a lot of effort and resources to establish your business in this field. Inventory plays a major part in the successful running of a restaurant. Any kind of problem-related to the inventory can result in the loss of a huge amount of money. This is where the usage of inventory management software comes in. It is an amazing software which will help you to boost your business. Using a food inventory system has become really essential if you are into the restaurant business. 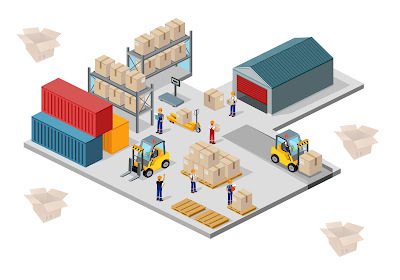 ● Using a modern and sophisticated inventory management system you can easily keep track of all the items present in your inventory and save time by not making huge spreadsheets. ● All your inventory items are updated every day automatically so that you can get a clear idea of which items you need to invest in. ● With the help of inventory management software, you can easily understand the cost of every recipe and food cost.